Decorating a home can be difficult, especially if you’re not sure exactly what you want in your space. With the new iOS 11 update, IKEA aims to help ease the stress with their new app IKEA Place. The iOS 11 update brought with it a new ARKit Tech, which allows for companies to incorporate augmented reality into their apps. IKEA Place uses Apple’s augmented reality technology to help you with your decorating process. The app lets you scan the store’s offerings and then see how the items would look in your home. It allows you to reposition everything, move items closer or further away, and view them from different angles. The app even lets you get a full 360-view of an item. That means you can look underneath objects and from behind them to get the best understanding of what an object looks like. Ensure that the room you are in is well lit. Hold your phone at waist level. Move your device around to scan an empty piece of floor. Search the list of products and select one. Find the empty spot in the room you want to fill and place the product there. If you’d like, select other products and add them to your space. Determine whether the piece is perfect for you! The app lets you share your new space on social apps so you can get the opinion of your trusted friends and family. The best part? When you find something you really like, you can order the product through the IKEA store on the app! Do home decorating shows leave you jealous of the skills of the interior designers? Worry no more! There are plenty of apps that can bring out the interior designer in you. Color Capture is a color matching app from Benjamin Moore. The app lets you take a picture of anything that inspires you. Then, it will match the color of whatever inspires you to one of their 3,500 paint options. To get a second opinion, you can share the colors on Facebook and Twitter. iHandy Carpenter gives you five different decorating tools, all in one place. The app includes a plumb bob, a surface level, a bubble level bar, a steel protractor, and a steel ruler. Homestyler allows for users to address many different issues associated with the design process. The app allows you to place models of furniture, rugs, and other such products on an image of a room. You can also browse through photos for inspiration and connect with design professionals in your area. Chairish is a one-stop shop app. Through the app, you can buy or sell any high-quality pre-owned décor. 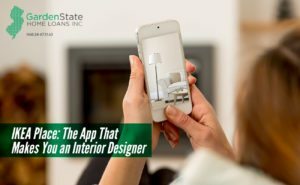 If you want to sell furniture, you can upload photos of your furniture through the app. Afterward, the Chairish curators will decide which items to sell. The company takes care of payment, shipping, and returns for most of the sales. It is free to list your items and the seller will keep 80% of the final sale. Magic Plan lets you take photos of your room and converts them into a floor plan with accurate measurements. There are in-app purchases that allow you to export these plans in PDF, JPG, and DXF formats for you to share with designers, realtors, or contractors. Smart home accessories have been becoming more and more popular. 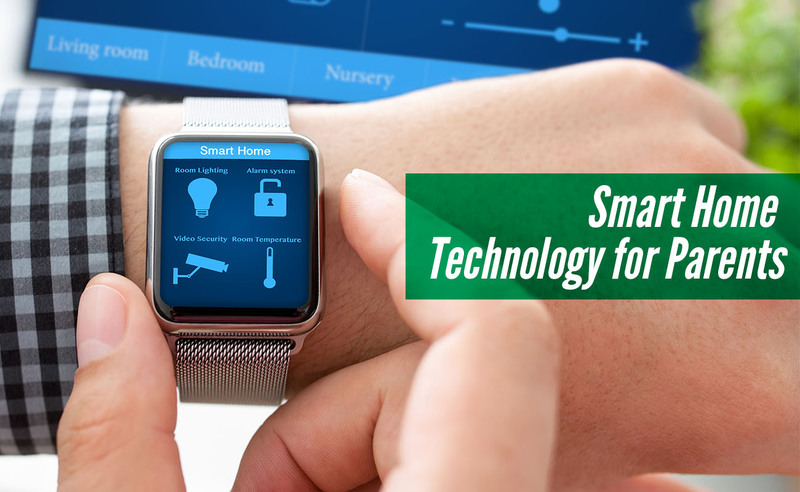 Parents can also take advantage of these smart accessories. Motion activated lights work perfectly when the little ones need to go to the bathroom in the middle of the night. Purchase a motion sensor and their corresponding light bulbs and plug the sensor into a nearby outlet. Whenever a family member enters the space, the sensor will turn the lights on. When no motion is detected anymore, the sensor will turn off the lights. Some brands allow you to adjust light levels through their app or set the sensor to only work at night. One of the most popular smart home accessories is the virtual assistant, such as the Amazon Alexa, Google Home, and Microsoft Cortana. These accessories have many activities programmed into their systems to keep kids entertained. They have learning-based games, such as spelling and math games, and entertainment-based games, such as twenty questions. In addition, you can bring the assistant with you on long car drives by connecting it to your phone’s hotspot, if your mobile service plan allows. Security cameras help you to keep an eye on your kids when you aren’t in the house. Most cameras are wireless, which make them easy to install. Once installed, cameras can be synched to Wi-Fi, allowing users to watch live video of their home from anywhere. Security cameras work well for general peace of mind when the whole family is out, or to use to make sure your kids aren’t getting into any trouble when they’re home and you’re not. Some devices even come with built-in speakers, which allow you to talk to your kids remotely through the camera. Temperature needs and preferences vary for each family member. For example, a baby’s nursery may need to be a few degrees cooler than the living room. Smart climate control gives you the ability to change the temperature of individual rooms as you see fit. In 2016, about 65% of Americans went on vacation (for at least 1 day). People are traveling fairly often all throughout the country, but sometimes you can’t always find a cheap or desirable hotel where you’re vacationing. Additionally, staying in a hotel means you’re probably staying with some strange strangers. If you’re looking for an alternative, either because of affordability or favorability, consider Airbnb. Airbnb has become popular for travelers looking to have an affordable and flexible vacation. Through Airbnb, vacationers can find affordable lodging with local residents or property owners. Although it is certainly popular with travelers, Airbnb is also popular with investors. Location is everything. One of the first things to look into is where people travel to most often. Having a property in a location that either attracts few tourists or only attracts them for a short season is not ideal when attempting to use Airbnb for investing. Is it a good idea to purchase an investment property to rent out on Airbnb? Using Airbnb for an investment property has its pros and cons. Although there is potential for great returns, an investment property brings with it the same issues that face any property. It’s important to consider this decision carefully and know what you’re getting yourself into. Location is critical, but there are other important factors that could contribute to charging guests higher rates. Upkeep costs, such as cleaning services, repairs, and landscaping, can add up too, and end up being factored into your fees on Airbnb. Personal safety is a huge factor to keep in mind. You’re renting to complete strangers and can’t know for sure what their actual intentions might be. If you’re renting part of your own residence, you’ll be spending the night with them too. Renting the entire property may be a safer or at least a more comfortable option. As the landlord, having good relations with your neighbors is paramount. If your neighbors don’t like you, they may not like any guests staying in your property either. Some neighbors are so against having complete strangers in their neighborhood that they even attempt to ban Airbnb from being available in the area. Renting a property certainly opens a can of worms filled with all sorts of risks and liabilities. Luckily, these can be minimized with Airbnb liability insurance. How much can you earn renting on Airbnb? Earnings from your investment property can vary, depending on tourism trends in the area. Airbnb keeps a detailed logbook of all your earnings and any transactions for your personal records. Earnings from an Airbnb investment property won’t appear on your tax returns, rather they’ll be applied to your 1099-k.
Smartasset.com notes the average earnings are $20,619 per year from renting your property out on Airbnb, depending on the area. 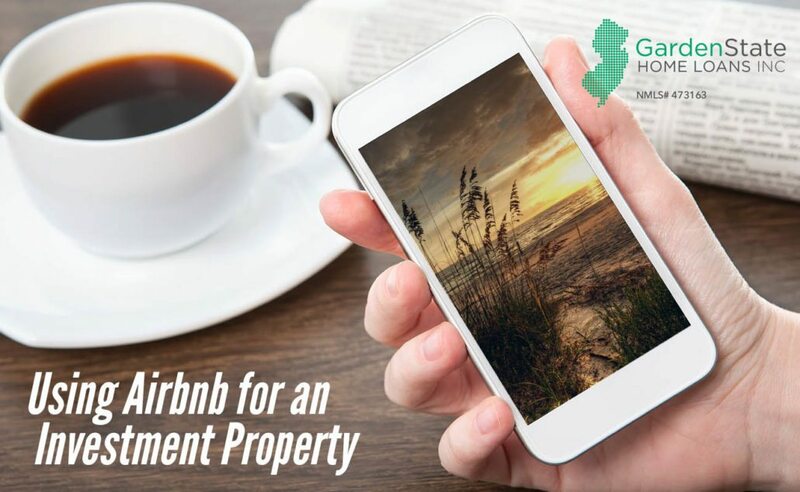 Disclaimer: Garden State Home Loans, Inc. has no affiliation with Airbnb, nor do we endorse or promote purchasing a property to rent on Airbnb. This article is for informational purposes only. Do you ever feel like you’re spending too much money, living paycheck to paycheck but don’t know what you can do to get out of that cycle? These 5 apps are great for anyone looking to save money! Mint is the free app that makes managing your money much simpler. This app puts everything in one place from your 401k to your checking account to your mortgage payments. Mint shows you all the recent transactions you’ve made along with how you’ve been using your accounts and your monthly budget, credit score, and even alerts you when you go over budget. 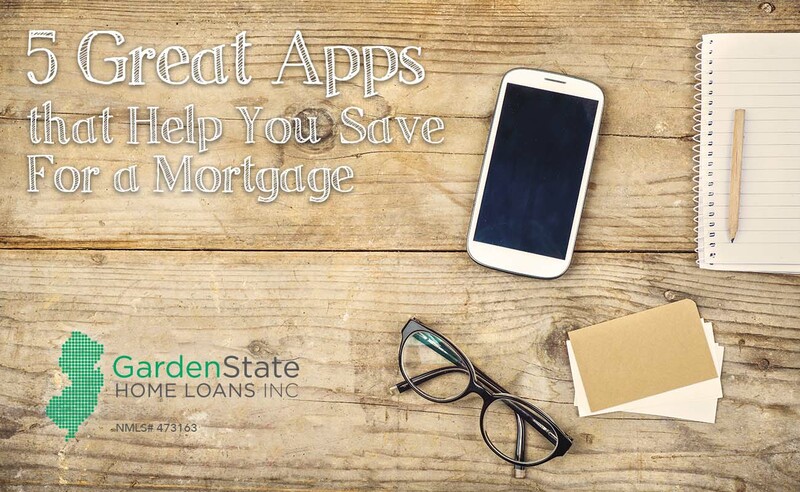 This is a great app for anyone looking to save money for a mortgage loan, car payment, etc. YNAB is an easy-to-use app but very thorough. It has 4 main rules that it follows 1) Give every dollar a job, 2) Save for a rainy day, 3) Roll with the punches and, 4) Live on last month’s income. That is great advice but living by it is harder than it sounds and this app will help you accomplish that and save enough money to get your own home. Shopkick awards you with points (called “kicks”) from shopping at many popular stores such as Target, Starbucks, Walmart, Best Buy, etc. If you earn enough “kicks” you can redeem them for free gift cards of your choice. Shopkick also lets you know of any deals and sales happening at stores near you. Just be sure not to get too caught up in earning “kicks” that you forget the reason you got the app in the first place is to save money. This app a must for any former military members and their families. Military Cost Cutters will show you all local businesses that have discounts for veterans. A great way to help out those who risked their lives for our country and give back to them. This app has two main objectives: allow you to completely understand your spending habits and what you can do to better them, and protecting your cards against fraudulent purchases. Billguard will go through every purchase/transaction and, much like Tinder, you will swipe right for transactions you made and swipe left for ones you did not do, i.e. fraudulent purchases/transactions. Once you realize what you can easily cut out from your spending habits you’ll see that saving enough money for a mortgage isn’t hard at all! There’s an app for everything in this day and age, and real estate is no exception. From searching for the best home to interior decor, you can do it all from the comfort of your phone or tablet. Here are some of the best apps that you can use to ease the process of home-buying. These apps allow you to search the local multiple listing services (MLS) to find different properties for sale. You can also search by city/state or zip code, filter by price, number of beds/baths, property type, square feet, lot size, the age of the home, features, and listing activity. Realtor.com offers a similar app which is often recommended by real estate agents. It has one of the most accurate and up-to-date databases. Realtor.com’s database is sourced from more than 800 MLS’s and 90% of its listings are updated every fifteen minutes. Homesnap is another MLS app, offering a slightly different platform. Instead of searching through a database, all you need to do is snap a picture of any home to get instant property details. This includes home value, when it last sold, number of bedrooms and bathrooms, local school ratings, similar listings, and nearby sales. If the home is on the market, it’s possible you’ll be able to see interior photos. Homesnap also lets you use the app to contact a real estate agent to schedule a showing or to list your home. These apps help you to determine the size of the mortgage you can afford, calculate your monthly payment, and shop for real-time rates. In addition, you are able to see side-by-side customized loan quotes from a number of lenders and much more. 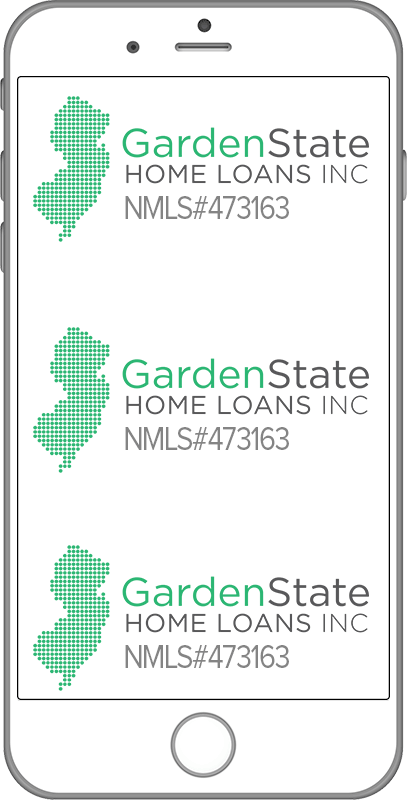 You can also contact a lender straight from the app to learn more about a specific quote. These apps include a refinancing calculator as well. This app does just what the name says. It shows you what nearby businesses and attractions there are, including the distance they are from your current location. This can be especially helpful when you are moving to an area that is unfamiliar to you. In addition to being able to search through various categories including banks, coffee shops, gas stations, and hospitals, you can also get step-by-step directions to the destination. From there, you can save the information to your contact list or even email the details to yourself or someone else. Houzz is a great resource for interior design. 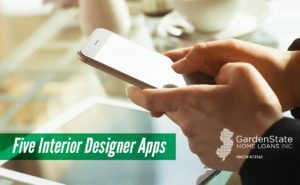 The app offers access to over nine million interior design photos, home decor, and decorating ideas. Recently, Houzz added a real estate agent category in their directory, which allows agents to create a free profile. These just scrape the surface of the available apps that can help you in your housing search.